IncludeHelp Internship program’s update: How to find the list of selected/current interns? Thanks for all candidates, who have been (or who are going to be) submitted their application for internship. 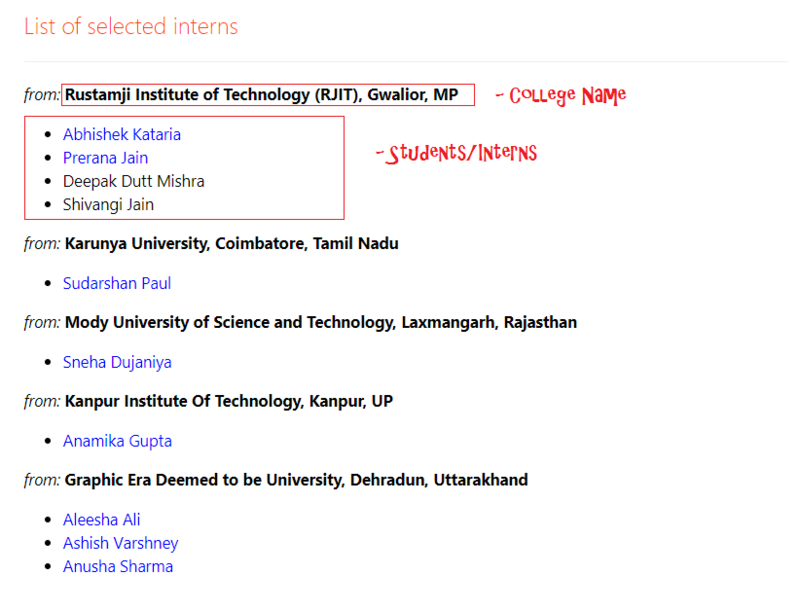 Now, you are able to list of the selected interns on Internship page, profiles can also be found on about page.